I was only 12 years old when I bought that red book, "Fantastic Beasts and where to find them". It was one of my greatest regrets as the book did not contain any narratives. Instead, it was a bible of the various magical creatures which held no meaning to me, at all. Occasionally, there were some handwritten notes from one of the Harry Potter's gang but it definitely wasn't fantastic. I kept it away in the storeroom, where it's now lost forever. So, I was quite skeptical how J.K Rowling could go directly to screenwriting and turn the clock to a time where even Voldemort did not exist. 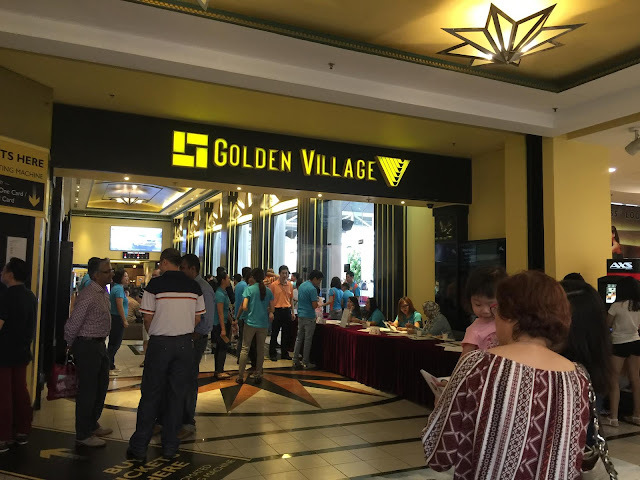 Watch Fantastic Beasts and where to find them at Golden Village! Aside from the brilliant scene cuts, fitting music and clever change of colour tones, the movie itself holds very deep and meaningful values that, whether incidentally or purposefully written, could gradually shape the character of every movie viewer. In this movie, we see a number of creatures that are neither human, wizard nor beast. It is an unstable power produced by young witches and wizards, who have sought to suppress the use of their powers because they lived in a time where people killed anything magical. This suppression gives birth to a 'black wind with eyes', that could cause terrible destruction beyond anyone's control. Was this idea birthed by J.K Rowling's dark times where her creativity was suppressed? Clearly, the moral lesson here is not to restrict someone's talents but to let him or her flourish with their powers ethically. Sometimes, we just have to let go and see what happens. Jacob Kowalski [a "no-mag (no magic) person" or a muggle], is a world war I veteran who aspires to open a bakery with his grandma's recipe. Here we see him trying to get a bank loan, only to be coldly refused because the bank simply isn't a charity and needs collateral. The friendly chap enthusiastically shares his baked goods, but the cold-hearted banker said 'there are machines to do 1000 of that in an hour'. I wonder if this scene was inspired by J.K Rowling's thoughts when she was turned away with her manuscripts for Harry Potter? We see Katherine Waterson, an intelligent investigator who is righteous and upholds the laws of the wizard community in New York. There were some plot twists and turns, here and there, and her character grows as she learn how to depend on and trusts her fellow community. While the movie is set at a different time period from Harry Potter's, the narrative about bravery, chivalry and persistence remains the same. The villain is a wizard hungry for power and recognition, though not much of background story is covered for the enemy. If you're going to watch it, don't expect it to be at the same level of Harry Potter because the plot is now set in a totally different part of the world. Catch Fantastic Beasts and Where to find them in any of the major theaters today!